Though they still haven’t found anyone to play the giant dog, the core cast of Marvel’s Inhumans TV series on ABC is coming together. 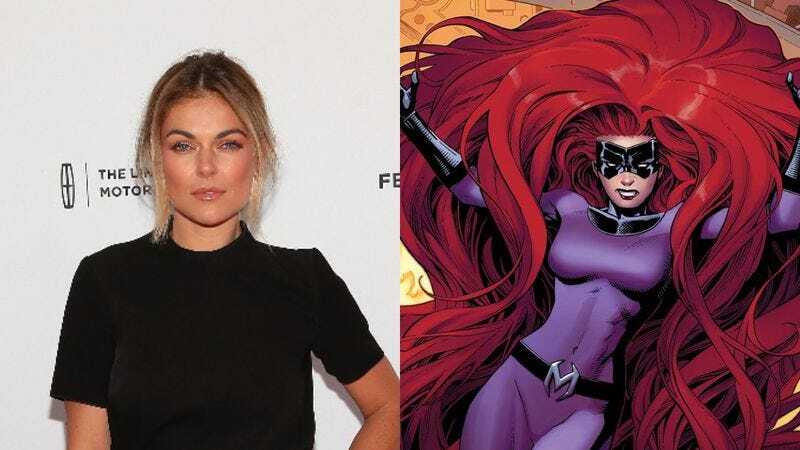 Iwan Rheon from Game Of Thrones is playing the lovably evil Maximus, Hell On Wheels’ Anson Mount is playing the strong-but-silent Inhuman king Black Bolt, and now The Hollywood Reporter says that Ballers’ Serinda Swan will be Medusa, queen of the Inhumans. For those who don’t follow the comics, the Inhumans are a lot like the mutants from the X-Men series, except Marvel still owns their adaptation rights. Like mutants, Inhumans tend to have fantastical superpowers, though they often come with some sort of drawback like making you look crazy or requiring that you frequently remind people that you’re an Inhuman so Marvel Studios can still put you in movies and TV shows. As for Medusa, her power is probably best described as “super hair,” which means that she can move her hair the way that a regular human can move their hands. Also, her real name is Medusalith Amaquelin Boltagon, because all of the Inhumans need to have ridiculous names. Inhumans is set to premiere in IMAX theaters later this year, with a normal run hitting ABC shortly after that.